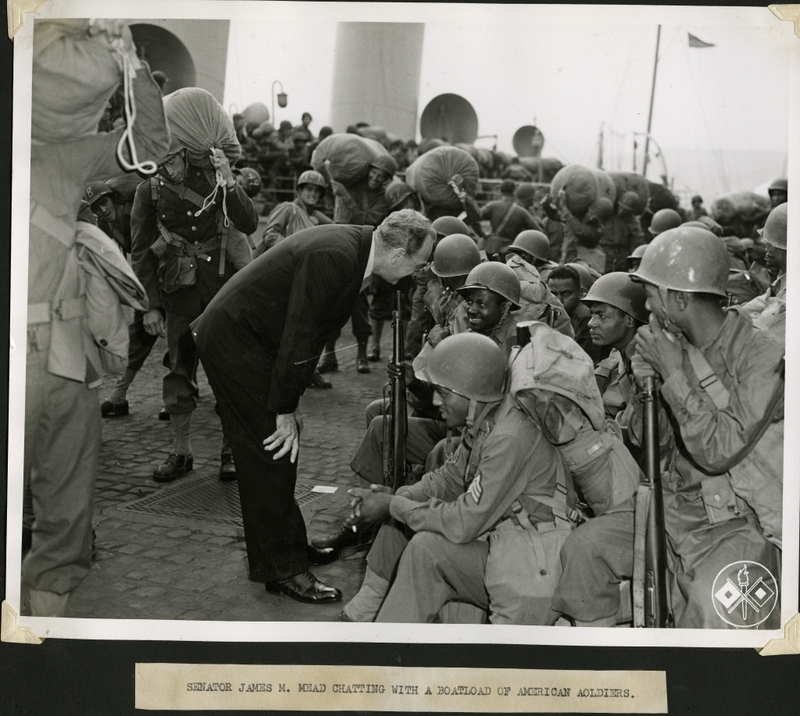 Sen. Mead talking to a group of African American soldiers as white infantrymen disembark from a troop ship in the background. The United States Military was completely segregated all throughout World War II. This photograph is part of a series detailing the 1943 official tour of allied war zones by five U.S. Senators: Ralph Owen Brewster (R-ME), Albert B Chandler (D-KY), Henry Cabot Lodge Jr. (R-MA), James M. Mead (D-NY), and Richard B. Russell (D-GA).